Children are often drawn to picture books with the colorful covers or funny characters, but can the words on the interior pages help shape kids into the person they will ultimately become? Many would respond with an overwhelming “yes”! Parents and teachers alike oftentimes turn to fictional children’s literature to teach their child a lesson, whether it be how to use the potty or the nitty gritty details of puberty. Professionals would call this bibliotherapy, a term coined by Samuel Crothers in 1916 but a concept that dates back to Ancient Egypt. Bibliotherapy is a form of therapy that uses reading as its medication. For some, diving into a good book can take them through a sea of emotions. It can help them work out some of the mental shipwrecks they’re dealing with in their own lives. Books have the same power over children. The difference is, children are much more impressionable and eager, whether they know it or not. Times may have changed, but children are still children – playful, naive and impressionable. They live to observe and mimic their surroundings. They pick up on more than they let on, maybe even more than they realize themselves. A good book can help children make connections between their feelings and their realities. Kids can empathize with the little hero or heroine in their favorite stories and learn from the way these characters react to basic obstacles. Keesha’s South African Adventure serves as a memorable piece of children’s literature that never fails to excite and enlighten the mind of the young reader. The story surrounds Keesha and her two moms, and their exciting and educational trip to South Africa! Keesha is never singled out or mocked for having two mommies and no daddy. Instead, she is praised for her bravery in the South African wilderness (safely escorted by her moms and a few professional tour guides, of course). A child with a family structure similar to Keesha’s will be able relate to the young protagonist, understanding that she is “not so different” from her friends after all. The child is able to internally implant that confidence and sense of belonging onto herself, thanks to the content of one little story. A young reader who does not have a family structure similar to Keesha doesn’t think to himself, “Keesha is weird for having two mommies.” He thinks to himself, “Wow, Keesha is so loved by her parents and classmates and teachers.” And in the future, that same now-somewhat-older reader may come across a classmate with a similar home life. Instead of seeing differences, he will instead look for and notice those same positive qualities – a desire to explore, a yearning for learning, a positive outlook and a loving family. The power and influence of a moral children’s book can help make sure that differences are never seen as disadvantages. So, to all of those lucky enough to influence the absorbent mind of child, choose your books carefully and creatively. Look for the stories that inspire confidence but discourage gloating. Look for stories that can show the importance of acceptance and the pain of being excluded. Notice a child having problems with divorce? Look for stories that have only one parent and make sure that parent is portrayed as the biggest hero or heroine in the universe. Notice a child struggling with making friends? Look for stories that show the beauty of being different and the greatness of standing out. Most importantly, look for stories with happy endings. 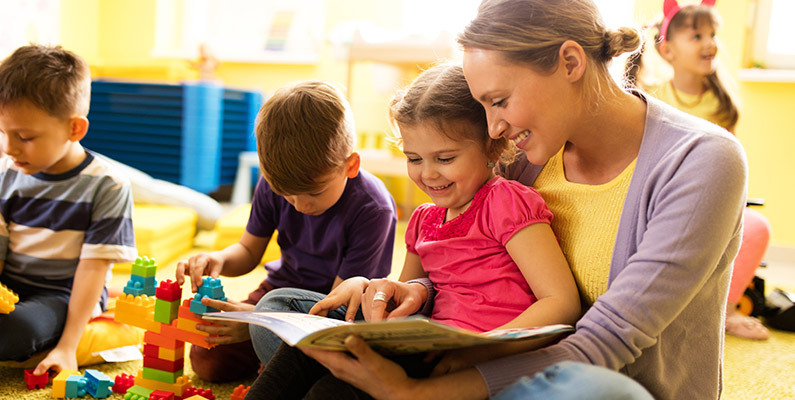 Children’s literature has the incredible power to influence language development, creativity, education, emotions, attitude and behavior, intelligence, health, cognitive and physical development and many more. If this all seems to fail, just know that reading will make them better people.